The map, referring to Florida shores as “The Treasure Coast,” depicts nine countries, two of which – Garnet and North Garnet are identified as fundamentalist Islamic theocracies suspected of supporting terror groups. The 50-year-old aircraft carrier Enterprise, leading the naval exercise, is to join two other US strike groups in the Persian Gulf by March. 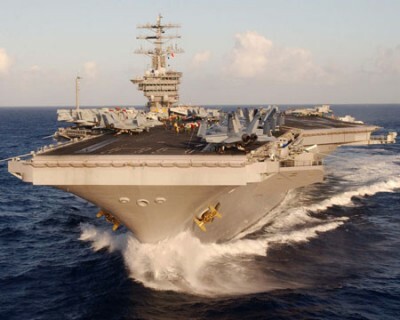 This will be the final deployment for the oldest carrier in Washington’s fleet.